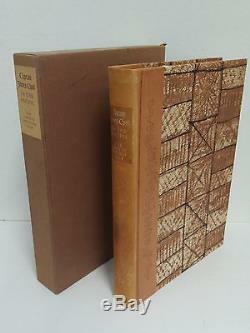 The Explorations of Captain James Cook in the Pacific (Limited Editions Club). Notes: #366 of limited edition. Leather spine with cloth boards. Slipcase has a couple of nicks and some shelfwear. 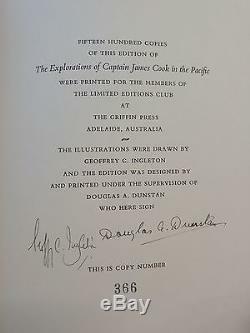 The item "LEC Limited Editions Club CAPTAIN JAMES COOK Explorations 1957 signed" is in sale since Wednesday, September 7, 2016. This item is in the category "Books\Antiquarian & Collectible". The seller is "queencitybooks" and is located in Lynchburg, Ohio. This item can be shipped to United States.